JACKSON TWP. Back and forth they went, with a big page of Jackson football history flapping in the cool autumn breeze. 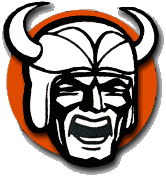 A gust of North Canton Hoover tradition tore out the page and left the Vikings with a 31-28 victory. Luke Reicosky’s 4-yard touchdown run and a 2-point conversion with 59 seconds left erased the last of what had been a 28-17 fourth-quarter Jackson lead. “We’ve been waiting all year on that victory they said we couldn’t get,” said Hoover’s second-year head coach, Brian Baum. Baum needed the win more than Tim Budd, but the one that got away from Jackson’s second-year coach left the home side of Fife Stadium in a purple haze. Jackson hasn’t won a Federal League football title since before Tom Brady won his first NFL playoff game. Beating Hoover would have ended the drought. The good news for the Bears was that they are going to the playoffs for the first time since 2004. This is one of the county’s great rivalries. Jackson is having the better season, but Hoover has mastered the series, now leading 53-25. Jackson was incredibly close to winning a third straight year for the first time since the 1950s. Jackson plays on at 7-3 overall, with a final league record of 4-2. Hoover finished with a big smile at 5-5, 2-4. Jackson inched ahead 21-17 late in the third quarter on a 22-yard touchdown pass from Jaret Pallotta to Dillon Dingler. It had been a shootout from the start. After Joe Childers returned the opening kick to midfield, Jackson hammered Hoover with Jack Dear (20 carries, 159 yards), got a third-and-long strike over the middle from Jaret Pallotta to Nick Shatrich, and led 7-0 on Dear’s 7-yard TD run around the left side. Hoover’s Davis slammed the brakes on the Bears. It has been a grinder of a year for him, and he has doctor appointments to address a foot injury. The senior linebacker felt no pain when he sniffed out a pass to the right flat and was already surging toward the end zone when he caught the ball on a 22-yard pick-six. Hoover junior John Keller stunned the Bears with a quarterback draw on which he found a gaping hole up the middle for a 35-yard touchdown. Jackson soon countered with a catch and run by Zach Beulieu, who dove for the right pylon on a 16-yard scoring play. Hoover senior Eric Sarbaugh drilled a 25-yard field goal as the second quarter expired to make it 17-14. A third-and-long strike to Shatrick coupled with an illegal hit got the Bears to midfield, setting up the go-ahead touchdown. Keller broke a 30-yard run on the next series, then ran for another first down on third and long, but the march ended on a missed field goal, with most of the fourth quarter left. Dear broke a 60-yard run down the left sideline, then scored from the 1 with 10:36 left, and it was 28-17. Hoover drove to a fourth-and-2 from the Jackson 22 and surprised the Vikings with a sweep left by Reicosky (140 rushing yards), whose touchdown made it 28-23 (a 2-point try failed) with 8:14 left. The Vikings got the ball back near midfield with five minutes left on an interception by Zach McHenry. A third-and-long catch and run by Nate George turned it into a game that would come down to the wire. A disputed third-and-10 defensive interference call gave the Vikings a first down on the 21 with 2:54 left, setting up the dramatic finish, another Reicosky TD and a 2-point conversion. Baum rejoiced in a great team victory. “That’s Hoover, baby,” he said.